The μPG 101 is an extremely economical and easy to use micro pattern generator for direct writing applications and low volume mask making. 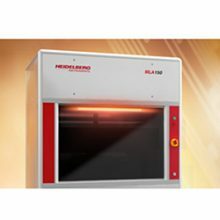 The system can be used for applications such as MEMS, Bio MEMS, Integrated Optics, Micro Fluidics or any other application that requires high precision, high-resolution microstructures. The μPG 101 offers a very small footprint of only 60 x 75 cm² featuring a compact design with all electronic components integrated into the system. A personal computer is used for system control. The Windows® based control software makes it easy for users to convert the designs, perform a manual or automatic alignment and start the exposure. 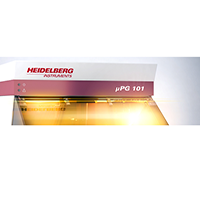 The µPG 101 is designed to provide an easy and fast way to create the microstructures needed for your business or research. 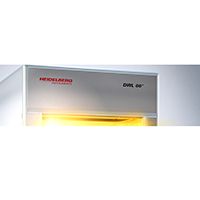 The tabletop system features exchangeable write modes to meet the resolution and write speed requirements of your specific application. 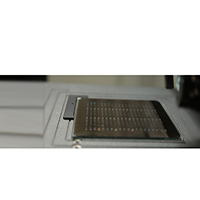 It is the only available desktop lithography system in the market, which can produce sub-micron features. The small address grid allows placement of structures with very high accuracy. The real-time autofocus system monitors and corrects focus position during exposure, which guarantees high resolution and repeatability over the entire exposure area. Small address grid and real-time autofocus system are essential features for a professional micro pattern solution. 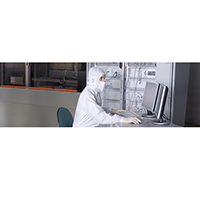 Applications for the µPG 101 include Life Science, MEMS, Semiconductor, Sensors, Actuators, MOEMS, Material Research, Nano-Tubes, Graphene, and any other application that requires microstructures.